Last week we reported that Samsung is prepping the upcoming Note 9 for a larger battery. Now we hear from Twitter user Ice universe that the Note 9 will feature a 3,850mAh battery – that's 17% bigger than the one in the Note 8. That news will no doubt please Note fans. It beats both last year's Note 8, which came with a 3,300mAh battery, and it beats the current Galaxy S9 Plus which comes with a 3,500 mAh unit. It doesn't quite match the mighty 4,000 mAh batteries you'll find in the Huawei Mate 10 and the Huawei P20 Pro, though, so if pure battery capacity is a priority you may want to cast your net wider than a Note. Of course, battery size isn't everything: depending on how a phone is set up, and the apps it's running, it can either chew through the battery in what feels like a few hours or it can eke out battery life due to the power-saving features employed by the phone manufacturer. Ice universe also claims that the new Note will come with an in-display fingerprint reader – a feature that has been confirmed then denied and then confirmed again in previous reports. 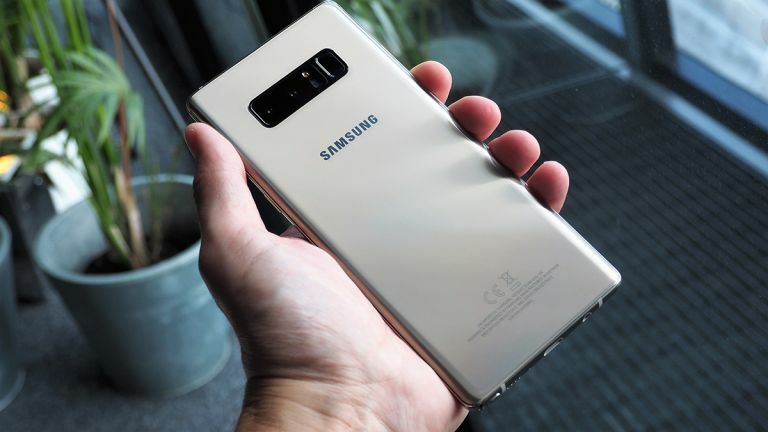 We'd usually have to wait until August to discover whether these claims are accurate – that's the month that Samsung chooses to announce its new Galaxy Note each year but Samsung is testing the phone's software sooner than expected this year, which could conceivable mean the release date is being pulled forwards, perhaps as early as July. Given the number of leaks that appeared in the run-up to the official announcement of the Galaxy S9 and S9 Plus, we can expect to learn lots more about the Note 9 over the coming weeks and months. In the meantime, we do know one thing for certain: the Note 9 is official.